Momentum and Labour Party leader Jeremy Corbyn in Britain have been the political awakening of many young people and have provided a political community for young movementists. At the same time, young people have been the driving force behind Momentum through their energy and enthusiasm for this grassroots organisation founded in 2015. 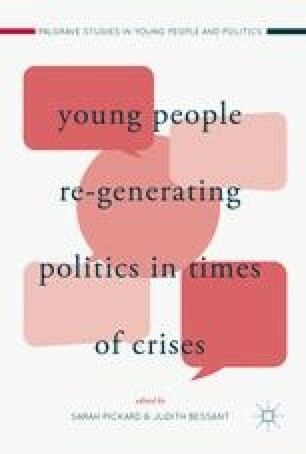 This chapter explores the roles played by Momentum in the regeneration of interest in traditional politics among many young people and the roles young activists in Momentum have played in regenerating the Labour Party. It shows how young people have used their political agency, especially through social media to campaign within Momentum that operates like a horizontal social movement network. The chapter also addresses extremism and entryism in Momentum, as well as resulting changes in governance and organisation.